Nothing marks the holiday of Chanukkah as much as the flickering flame of the Menorah. Despite the fact that this holiday marks a notable military victory too, it is the miracle of the Menorah that dominates the day. Why? Contrasting this holiday with Purim it seems like they have many similarities while at the same time Chanukkah takes on a much quieter tone. No noise, loud singing, or Megillah reading. Just a candle. Considering the outstanding military victory the Maccabees experienced on Chanukkah one would expect more celebratory rituals boasting the great victories that took place during that holiday. The great 16thcentury philosopher and Kabbalist Rabbi Yehuda Loew—the Maharal of Prague—argues that the essence of this holiday can be captured in the words of King Solomon: ”Ki ner mitzvah v’Torah ohr, the mitzvah is a lamp and Torah is the light” (Proverbs 6:23). Any mitzvah we do is likened to a candle and the Torah in its entirety is likened to light. Why a candle? A candle represents the non-tangible connecting to the tangible. The flame exists through its connection to the candle and the candle only has meaning if it is sustaining a flame. Similarly in our own human experience, the spiritual connects to the physical. This is the exact opposite of what Greek cloture championed. Greek culture was the epitome of physicality; the body was to be worshiped, physical strength idolized, Greek gods represented various aspects of the physical world, and anything different was to be shunned. Alexander the Great charmed the world with the beauty of Greek culture and by its compelling logic. Indeed, there was a lot to be impressed by; the compelling logic and philosophy, the architecture, and the military strength were overwhelming. In order to truly understand the essence of Teshuva, we must distill the process and then rebuild it from the ground up, thereby allowing us an authentic appreciation of the dynamics of Rosh Hashanaand Yom Kippur. 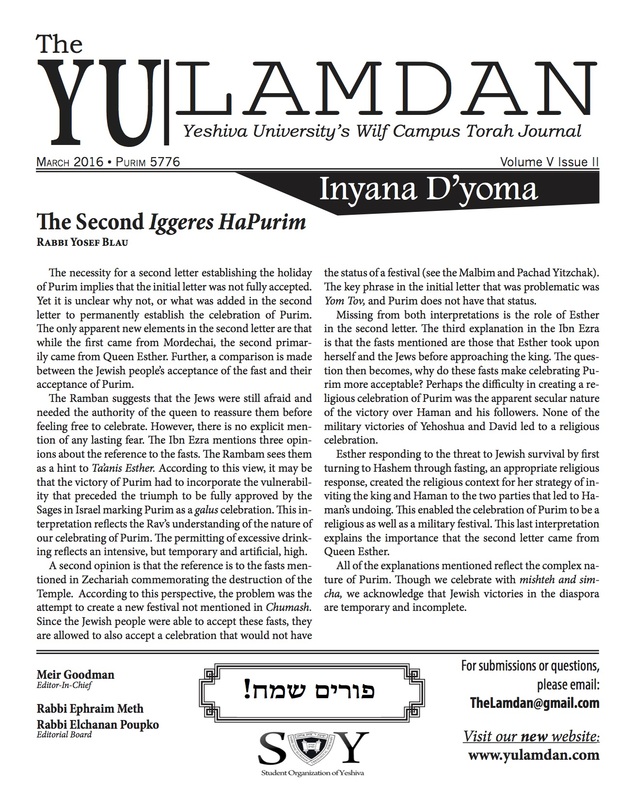 The Rambam in Hilchot Teshuva discusses three necessary steps for achieving complete Kapara (atonement) in the Teshuva process. The first step is Viduy, translated as confession. It is accomplished through a verbal confession; the words cannot be in our mind, but must be on our lips. The second step is Charata, loosely translated as regret. It is the emotion that must accompany the verbal confession. Lastly, we must vow to never commit the specific sin again. This is called Kabbalat Al Ha’atid. There is a lovely story about time, it goes as follows: two elderly Jews who haven’t seen each other in fifty years, meet, slowly recognize one another, and embrace. They go back to the apartment of one of them to talk about the days long ago. The conversation goes on for hours. Night falls. One asks the other, “Look at your watch. What time is it?” “I don’t have a watch,” says the second. He picks up the trumpet, opens the window and blows a deafening blast. Thirty seconds later, an angry neighbor shouts out, “Two-thirty in the morning, and you’re playing the trumpet?” The man turns to his friend and says, “You see? That’s how you tell the time with a trumpet!” Roughly speaking, that’s how the greatest rabbi of the Middle Ages, Moses Maimonides, explained why we blow a shofar (ram’s horn) on Rosh Hashanah, the Jewish New Year, which we celebrate in six days’ time.